Home Military Heritage Projects Digging up the Raj Lt Col Eric James Daly McElwaine O.B.E. The couple buried in this plot in Deansgrange Cemetery, Dublin, had two amazing sons – one, the recipient of an O.B.E. and the other, a Knight. Adam James McElwaine, from Coleraine, County Londonderry, married Edith Mary Leech from Ennis, County Clare, who was 13 years his junior, and the couple had two sons, Percy and Eric. Adam’s job, whatever it was, took him from Derry to Belfast to Dublin where they lived in Shelbourne Road, Ballsbridge. Adam died in 1930 and his wife in 1953. The son who is buried with them is the younger. Eric James Dalby was born in 1887 in Roscommon but by the time he reached school-going age, the family had moved to the Victoria district of east Belfast. He attended Campbell College in Belfast. Later, when the family moved to Dublin, Eric attended Trinity College. He wrestled with French and German in the lecture theatres, and sparred in the Featherweight and Lightweight categories in the boxing ring. 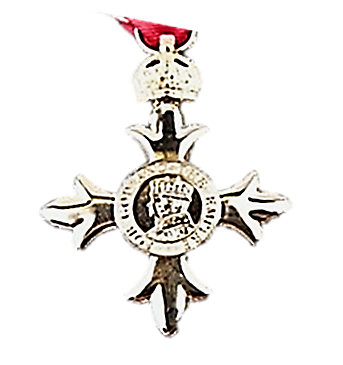 Upon graduation, McElwaine joined the 1st Battalion of Royal Sussex Regiment and left for Calcutta. Being on the Unattached List, he served a probationary period with a British Army regiment in India, during which he had to acquaint himself with a vernacular language. Assuming McElwaine had grasped enough of a native language to bark orders, his admission into the Indian Army was approved by His Majesty. McElwaine joined 76th Punjabis and immediately began punching his fellow officers – in friendly boxing bouts – until the outbreak of WW1 presented the opportunity for a real fight. His regiment was sent to Egypt and then on to Mesopotamia where it joined the 12th Indian Division. In his dispatch reporting on the Euphrates Operations of June and July 1915, General John Nixon mentioned the young lieutenant McElwaine as one of the ‘officers and men whose names I wish to bring to notice in connection with the operations undertaken during the period’. In September of the same year, McElwaine was promoted to Captain, albeit without pay and allowances for a year. In 1919 the regiment marched to the dreaded North West Frontier. Compared to it, Egypt was a piece of halwa. The punitive campaigns against the marauding tribesmen of Afghanistan had begun. A series of operations, often supported by air cover, were launched against the Tochi Wazirs, which lasted an entire year. The 76th Punjabis did not balk – they waded into the war with gusto, as did McElwaine. He was acting Major and second in command of a battalion. It is around this time that he was awarded an O.B.E. He was finally promoted to Major in 1928. Six years later, as Lieutenant Colonel, he took command of the 1st Punjab regiment. McElwaine retired in 1939 and set sail for Liverpool from Bombay on the SS Elysia. In Ireland he first lived in 73 Kenilworth Square, Dublin, before settling in 17 Merlyn Park, Ballsbridge. In 1942 he was removed as an Indian Regular Reserve Officer ‘having attained the age limit of liability to recall’. Lt Col Eric James Dalby McElwaine died in 1960 in Pendennis in Foxrock. The 4- bedroom house was recently described in the press as ‘enjoying a peaceful and rustic setting on 1/3 of an acre’. 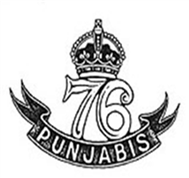 The 76th Punjabis was raised by Captain Thomas Lane in 1776, starting out as a Carnatic battalion, mostly engaged against conflicts with native Indian princes, and against the French in Pondicherry. By 1903 it had become 16th Madras and was made up mainly of men drawn from the Punjab, whatever their religion. Eventually it dawned on Lord Kitchener that Punjab was nowhere near Madras so, when he reformed the Indian Army, the regiment was re-designated 76th Punjabis. During WW1 the regiment guarded the Suez Canal and then proceeded to Mesopotamia where it fought valiantly for a year. 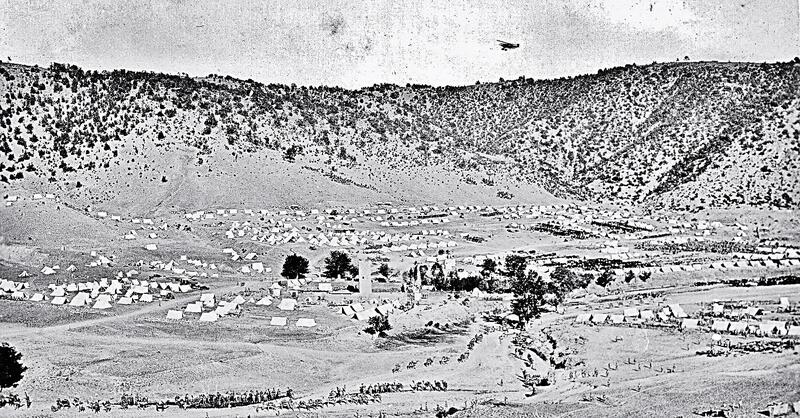 However, during a long siege, the regiment lost 72 men and was forced to surrender to the Turks. As prisoners of war they lost over 100 men. In January 1917 the 76th reformed and set out for the North West Frontier and were joined a year later by over 200 soldiers released from the Turkish POW camps. The 76th Punjabis fought in the Afghan wars for the next two years until it was disbanded in 1922. Distinguished and exciting as Lieutenant Colonel Eric James Dalby McElwaine’s military career was, his older brother’s was even more fascinating. Although he never served in India, he did have a close brush with the East India Company in Singapore. Percy Alexander McElwaine was three years older than Eric and shared many parallels with his brother. Both were born in Roscommon; both started out in Campbell College, Belfast; both went on to Trinity College in Dublin; and both won medals in The Philosophical Society (with Percy serving as treasurer for the society, too). After that, the brothers’ paths diverged. Eric chose the sword and Percy set out to prove that the pen was mightier, by pursuing a legal career. Once he was called to the bar, there was no stopping him. He raced through the world bringing down his gavel in various British colonies. During his time with the Inns of Court, McElwaine married Evelyn Annie Forsaith Macnaught in London In 1914. They only had four years together before the poor girl died of influenza. Upon the outbreak of WW1, Percy enlisted with Royal Irish Rifles and fought on the Western Front in 1916. A memorial to Royal Irish Rifles stands in Belfast City Hall. Percy’s return to civilian life, in high administrative posts, took him to far-flung destinations – Canada, St Lucia, Kenya, Fiji – culminating as Chief justice of The Straits Settlements from 1936-1946. In Singapore, he married a local social butterfly called Margaret and she bore him two sons. Although his services won him a Knighthood, he formed a low opinion of ‘Asiatics’, rendering them unsuitable for senior judicial posts. This may have infuriated the Japanese, who took him prisoner and moved him to three different POW camps. Percy was not fazed. He put his time in the camps to good use by writing – about his life, his service and the wars. Percy was succeeded in The Straits by the last British Chief Justice before the feeble-minded ‘Asiatics’ took over the running of their own country. Sir Percy retired to Devon, where he died in 1969. Of his two sons, Eric David became an officer in the Camerons and the younger, Ian Douglas, joined the Royal Navy. 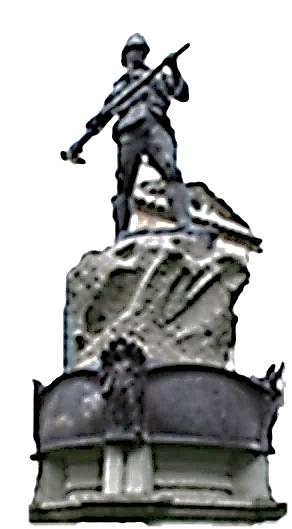 The Straits Settlements comprised four colonies – Penang, Malacca, Singapore and Labuan, each acquired over a period of time for their strategic naval and trading advantages. The East India Company controlled The Straits and used it as a penal settlement for Indian prisoners until 1867, when it became a British Crown Colony. In 1941, the Japanese invaded The Straits and remained there until 1945. After WWII, The Straits were dissolved. Ultimately, Singapore became an independent republic. Penang and Malacca became part of Malaysia. Lauban was added to British North Borneo.